It’s that time of year again – we can now reveal the hotly anticipated Umpf Social Media Hall of Fame listing for 2015! Now in its sixth year, the Social Media Hall of Fame is not ranked in any particular order; these are 36 case studies that, for one reason or another, have caught the attention of our social media team. Some of these case studies are award-winning; some are not. All of them, however, have challenged us and made us think a little differently about how we continue to evolve and develop our social media campaigns. Please do share your comments at the foot of the page, or tweet us your thoughts @Umpf. In January, Royal Mail created a series of Vines to coincide with ten special edition stamps to celebrate the 150th anniversary of Lewis Carroll’s Alice in Wonderland. The Vines, which were illustrated by Grahame Baker-Smith, highlight key scenes from the story and were intended to broaden Royal Mail’s appeal to a younger audience. In the run-up to the premiere of the fifth season of Game of Thrones, the show’s creators came up with an innovative way to tease insider knowledge straight to fans’ inboxes. HBO quickly spread the word about ThreeEyedRaven.com, which promised to give fans The Sight (as in, the strange premonitions of a warg) directly into their Twitter inbox. Leading up to the show, those who signed up were sent links via DM to teaser videos of the upcoming season. We’re big fans of Game of Thrones, and we were big fans of this! Kellogg’s’ #SpoonSelfie campaign was launched to build social awareness of their personalised spoon promotion. The brand encouraged fans to submit pictures of themselves reflected in the curve of their spoons for a chance to win their very own personalised spoon. We loved this fun take on the traditional selfie! In February Burberry and Twitter partnered to enable people anywhere in the world to take a photograph from the Burberry Autumn/Winter 2015 Womenswear show. Any tweets including the hashtag #Tweetcam and mentioning @Burberry prompted a camera to take a photograph of the catwalk. Burberry tweeted each picture back to the user, incorporating their Twitter handle and the time they prompted the camera to take the photo. We loved this real-time, experiential use of Twitter. The night before the final of the Capital One Cup, fans of both teams (Tottenham and Chelsea) were asked to vote for their teams using either #ChelseaAtWembley or #SpursAtWembley. Tottenham’s fans outvoted their rivals on Twitter meaning the Wembley arch was lit up in the team’s colours. Publishing company Penguin Books UK launched a Mother’s Day campaign where people tweeted in suggestions of books that their mum would like. Penguin would then send out some of the books to people who tweeted. In what we think was a deliberate move, the hashtag Penguin chose was the commonplace insult, ‘#YourMum’. Naturally, the Internet went kind of nuts. Canidae launched the World’s First Dog Selfie Mirror to help create a buzz around the company’s launch at Crufts 2015. The idea was to both launch the brand to dog-owning consumers and also to create a bank of owned and shareable social media content that could be used to engage fans going forwards. The Dog Selfie Mirror invited visitors to bring their pets on-stand to snap their own ‘selfie’ which was then shared to CANIDAE’s social channels – taking the at-show buzz into the online space. 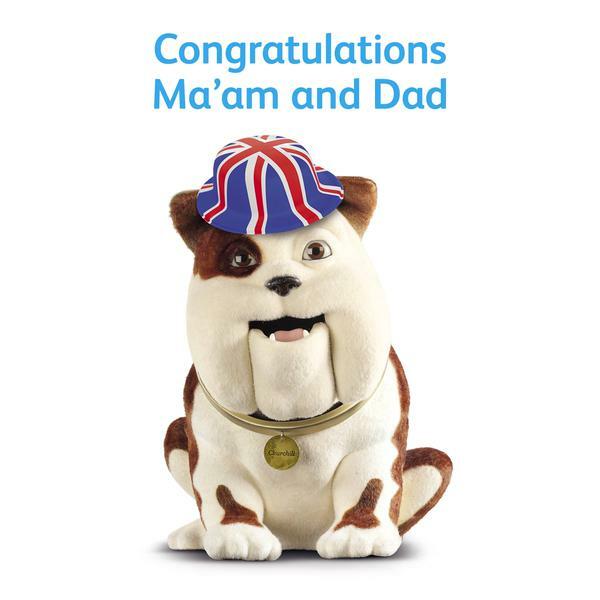 The Dog Selfie Mirror generated 37 pieces of coverage: 86% of this was CANIDAE-branded including Channel 5 News, The Telegraph, Tag S4C (Welsh TV), The Independent, Daily Express and Heat Magazine. Video content recorded by Press Association was used across key online sites including MSN, Yahoo! News, AOL and Huffington Post and combined circulation of this coverage was 245,358,895. In one of our favourite social stunts of the year, Whiskas Australia launched ‘The Catstacam’, a Wi-Fi-connected, motion-activated wearable camera that hangs around a cat’s neck, pointing outward to capture the feline’s forward view. Photos are uploaded to the cat’s own account on Instagram. The brand launched several kitty insta accounts using the device, which showed a variety of viewpoints throughout the day. While the nation’s hearts were breaking with #ZaynPain at the exit of Zayn Malik from One Direction, Lidl’s social media team were busy crafting a clever reactive social media and in-store campaign. The supermarket humorously announced on Twitter that they would be cutting the price of their One Direction easter eggs by 1/5, kicking up a social media storm. In the wake of the huge popularity of Serial podcast, which saw a rush of amateur sleuths and searching out clues and theorising on Reddit streams, the BBC launched an immersive murder mystery set in the world of social media. 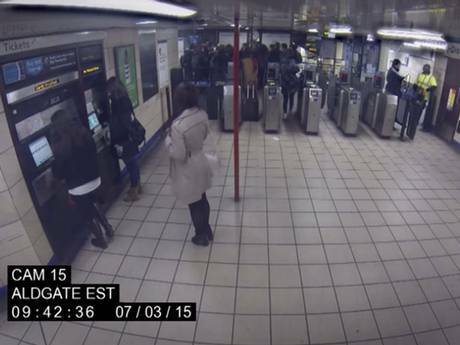 Two years in the making, The Last Hours of Laura K unfolded through 24 hours of CCTV footage that played on a loop on the website, which tracks Laura around London from her flat to work before a night out, culminating in her mysterious whodunit murder. The production team populated two years’ worth of content on the fictional Laura’s Facebook, Twitter, Instagram, LinkedIn, Spotify and Tumblr accounts, as well populating accounts of 40 other characters she encounters on her final day. Viewers had to work out who killed Laura and why, before emailing in their suggestion. Honda launched a ‘never-ending’ YouTube film as part of its new Endless Road campaign, which aimed to communicate its never-ending quest for quality. Utilising an innovative YouTube element, when you watch the “Endless Road” on the YouTube site, it pulls in real-time data to visually reflect the time of day and weather of your locations, wherever in the world you are watching it from. After announcing that she would be running for President in the 2016 US Election, Hilliary Clinton took advantage of Facebook to list her achievements and photos of herself in younger days. The timeline started with Clinton’s birth in Chicago at Edgewater Hospital in 1947 and went all the way to the birth of her granddaughter Charlotte Clinton Mezvinsky in 2014. The timeline also included lesser known detail about Clinton’s young life, such as that she worked the summer after she graduated from Wellesley College in Alaska as a dishwasher and someone who guts fish. She also announced her candidacy via a video on Twitter – social appears to be at the core of her campaign. 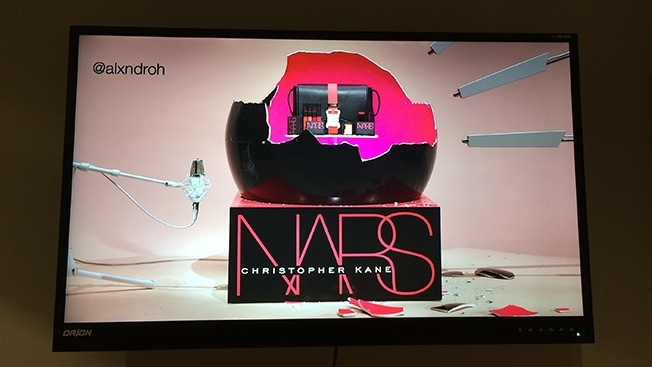 To promote its spring cosmetics collection, Nars packaged its high-end makeup with a limited-edition Christopher Kane handbag. The prize package was concealed inside a glossy sphere of black enamel. Positioned to one side were four striker arms, each of which delivered a blow to the orb when someone tweeted the hashtag #NARSChristopherKaneUS. As the orb revolved, the hammer blows began to crack it into pieces. The tweet that corresponded to the finishing blow won the prize. When the video went live, tweets came in at an average rate of 5.8 per second, with as many as 600 tweets lined up in the queue. The orb withstood the blows for 45 minutes before it cracked. 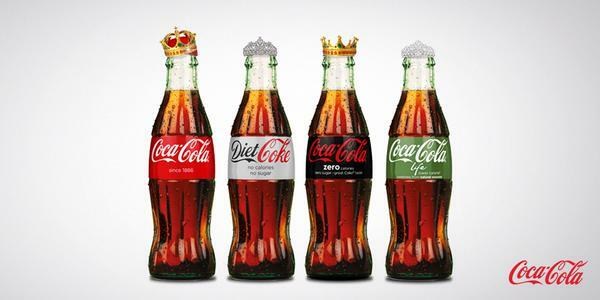 When it comes to piggy-backing your brand onto an event, opportunities don’t come much bigger than the birth of a royal baby. 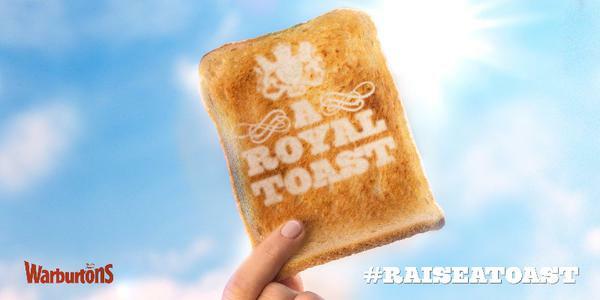 During the weekend of Princess Charlotte’s birth, the hashtag #RoyalBaby was littered with carefully crafted branded social media imagery by some of the UK’s biggest brands. The game consisted of two simple elements – a button and a countdown clock which ticks down from 60 seconds. Before it reached its target, the clock jumped back up to 60 as somebody, somewhere, pressed the button. Once you pressed, your account was forever branded with your score, and a colour – to match. If you pressed the button when the counter dropped to 45 seconds, you’re blue. 35? That’s green. Only the most diligent clock-watchers won the red dot, when the timer fell below 12 seconds. To some, this thankless task seemed like a waste of time, but the stunt garnered the social platform a plethora of global media coverage. In what could have been the greatest and most dangerous news for Team Umpf this year, Domino’s announced that it was to allow instant orders via social media simply by tweeting a pizza emoji. Domino’s announced the new system on Twitter (of course) with a series of pizza-related tweets. Users simply need to sign up for an Easy Order account online where you connect your Twitter handle and your pizza preferences. Then, it’s as easy as tweeting a pizza emoji and confirming the order via DM. Fortunately for our arteries, the service is only available Stateside for now. In May, the WWF encouraged donations via Twitter using an emoji of one of 17 endangered animals . In a tweet noting that 17 emoji animal characters are endangered, the WWF asked Twitter users to retweet to instantly sign up and then follow a link to find out more about the campaign. Then, whenever a signed-up user tweeted their chosen #EndangeredEmoji using the hashtag, they were sent a monthly invoice to confirm their donations at a rate of 10p per emoji (although the user was given the option of adding more funds to their donation). 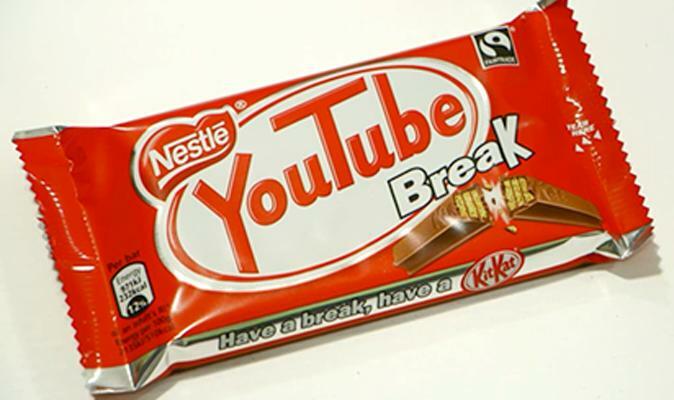 Nestle’s KitKat and Google’s YouTube joined forces again in 2015, this time printing 600,000 chocolate bar wrappers with ‘YouTube Break’. The move followed the brands’ last partnership, when Google named Android OS update 4.4 ‘KitKat’ back in 2013, and formed part of a campaign which saw KitKats branded with more than 70 different types of break such as ‘Sporty Break’. David Black, MD Branding and Consumer Markets for Google UK said: “It’s great to see KitKat consumers are huge fans of YouTube and, along with our 1 billion users, regard YouTube as a favourite source of entertainment. The chocolate itself was also imprinted with the #mybreak hashtag. Panama City (Central America) has, like many bustling cities, a host of neglected roads. Local television station Telemetro Reporta decided enough was enough in May and teamed up with P4 Ogilvy & Mather to create potholes that tweeted at the Panama City Ministry of Public Works when a car drove over them. A pressure-sensitive device was placed in each of the city’s worst potholes. When activated, a tweet was sent to the public officials to request that it be fixed. The scheme was well-received, with the Minister of Public Works himself making an appearance on the evening news to discuss the problem. Now, when can we get these in Leeds? In what could be our favourite campaign of the year, NHS Blood and Transplant launched their #MissingType campaign to get more people to give blood. The campaign encouraged some of the UK’s leading brands to drop their As, Os and Bs from their branding during National Blood Week to raise awareness of the need for new donors. More than 600 organisations and companies took part. When Caitlyn Jenner’s Vanity Fair cover was revealed earlier this year, Twitter was abuzz with opinions about her transition. Despite the wealth of support for Jenner, some well-intentioned users were still slipping up and misgendering her. Twitter bot @she_not_he set out to politely correct tweeters using Jenner’s incorrect pronouns.
.@pardesoteric Click, whirrrrrr. It's she, not he. The South African branch of the Salvation Army hijacked the worldwide furore around #TheDress by staging a quick turnaround marketing campaign that refocused a frivolous viral debate on colour into a powerful discussion on domestic violence. The campaign was released just days before International Women’s Day. To promote the photo capabilities of the LG G4s, LG launched its first social photo competition, #BestShotEver. Entrants were asked to submit their Instagram pictures using the hashtag for the chance to win a trip for two to New York City. The pictures submitted were actually pretty good! For the 100th anniversary of the Women’s Institute in the UK (16 September), the organisation hosted a ‘tWItterstitch’ event, in which 100 commemorative tweets using the hashtag #theWI_100years were live-stitched by members to form part of a celebratory wall hanging. Pictures were sent back to the person who sent the tweet and the final wall hanging was put on display at the charity’s national headquarters. Among high-profile Twitter users to send messages to the WI were @BritishMonarchy, @tetley_teafolk, @loosewomen and Phillip Schofield (@Schofe), who showed an image of the resultant embroidery live on ITV. The hashtag was used almost 3,000 times and during the event, the #theWI_100years hashtag trended UK-wide. 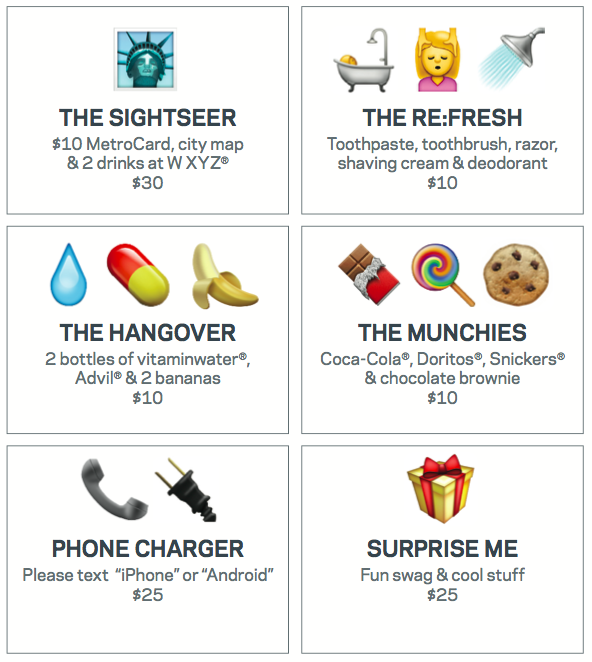 Yes, emoji room service is now a thing. The concept is simple: In every room in Aloft Hotels’ Manhattan hotel, there is a menu of six packages that you can order. After texting the string of emojis(along with the last name and room number) to the hotel, guests then receive a confirmation and whatever package was ordered will be delivered directly to the room. 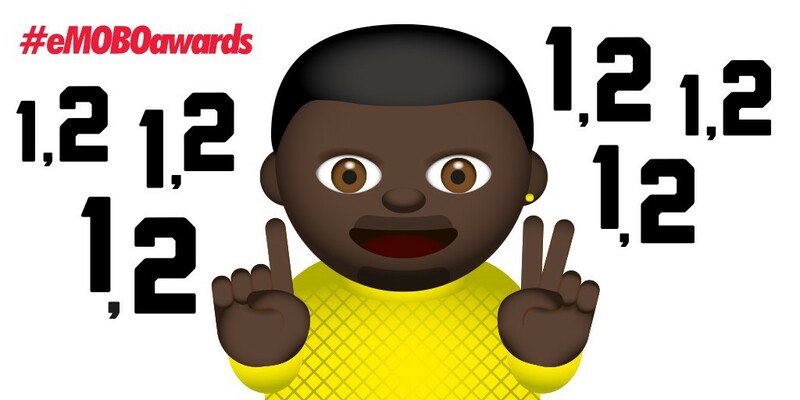 Virgin Trains supported its sponsorship of the Best Newcomer award at this year’s MOBO Awards with a social media emoji campaign as well as a train station activation programme. For its #eMOBOawards social campaign, Virgin Trains created emojis for each of the ten shortlisted artists in the Best Newcomer category and Twitter users were asked to predict the category winner by voting with the hashtag #eMOBOawards with the appropriate image. As the 20th annual MOBO Awards took place this year at the First Direct Arena in Leeds, Virgin Trains ran a social activation campaigns at the city’s train station on November 4, the day of the awards ceremony. A Twitter Photobooth was at Leeds station allowing travellers to pose with their favourite #eMOBOawards emoji and Tweet their image. In January PureGym created a series of emergency workout cards, shared over Facebook and Twitter, designed to help its members work off ad hoc sins that can tempt the best of us. Built around the brand’s 24/7 #ReadyWhenYouAre proposition, the campaign was designed to help gym-goers counteract a slip up in healthy eating, such as an after-work pint, lunchtime cheeseburger or that evening glass of wine. The cards were optimised for sharing on both PureGym’s Facebook and Twitter channels, which users can then load and save to their smartphones to refer to in the gym whenever they are in need. 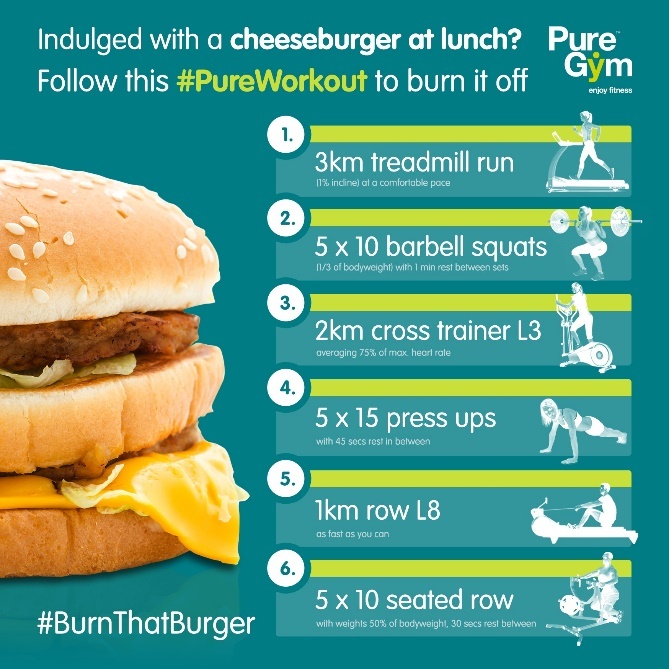 PureGym’s social media manager Sam Weston said: “Temptations can get the better of us all sometimes, but we say there’s nothing wrong with the occasional treat, especially if you are determined to work it off and keep on track with your fitness goals. The national airlines of Australia and New Zealand agreed a wager on the outcome of the 2015 Rugby World Cup final. Air New Zealand and Qantas shook on the agreement following a humorous exchange on Twitter ahead of the final. The Qantas crew agreed to wear New Zealand rugby jerseys if the All Blacks won. Air NZ pilots also agreed to wear the opposition’s jerseys in the event of defeat. The initial wager even involved repainting the entire fleet of planes. True to their word though, Qantas staff did don the New Zealand Jersey on the Monday following the game. Taco Bell created 600 unique gifs and images to celebrate the launch of the taco emoji. The #TacoEmojiEngine combines the new taco emoji with any other emoji that is tweeted to the account. For example, people who tweet a picture of a taco emoji with another emoji at the brand’s account, for instance, will automatically be sent back a photo or GIF mashing up the two images. If you tweet a picture of a taco and smiley face, they will then receive an image of a taco wearing sunglasses. In another scenario, tweeting an image of a taco and a dancing lady sends back a GIF of a women kicking out tacos from a stage. 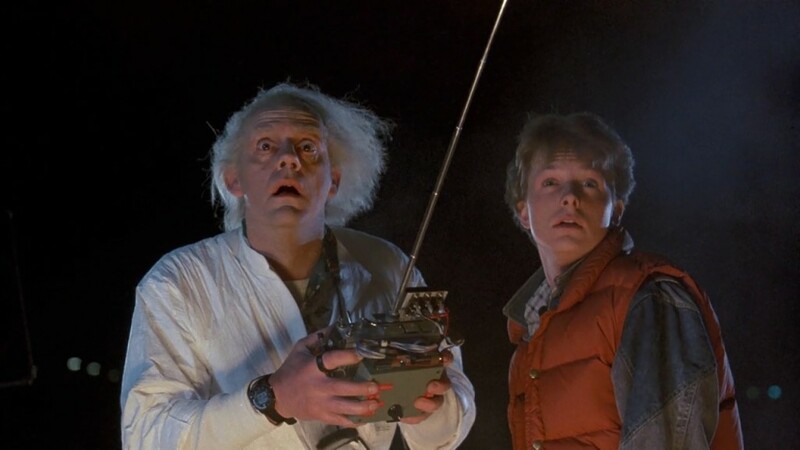 The internet celebrated Back To The Future Day on 21 October to much fanfare, with brands from Nike (of course) to Toyota and almost everyone in between jumping on the Delorean bandwagon. We created a roundup of some of our favourite bits of content from the day – check it out here. 32-year-old Texan Daniel Fleetwood was given two months to live back in July, after being diagnosed with terminal cancer. His dying wish was to see the upcoming film Star Wars: The Force Awakens, before its release in December. But Fleetwood was well aware that he was running out of time, so a team of supporters and the power of social media helped fulfill his dying wish by making the request to Disney using the hashtag #ForceforDaniel. In November, Lucasfilm came to Fleetwood’s house and gave the fan his own private viewing of an unedited version of the film. Daniel passed away peacefully in his sleep just five days later. May the force be with you, Daniel. During Halloween week, Cadbury launched its #CadburyCraveyard competition. The chocolate brand asked its followers to vote for the “resurrection” of one of their childhood favorites, Marble or Fuse, by tweeting using the #CadburyCraveyard hashtag along with the name of the chocolate bar. The winning bar (Fuse) was given out to 100 lucky entrants. The campaign generated over 15,000 tweets. In the run-up to Christmas We are Social launched a virtual shop of classic Secret Santa gifts. Rather than buying a Secret Santa gift, the company asked for participants to donate the purchase price to Age UK instead. It’s a lovely idea, which hooks into the huge drive this Christmas to raise awareness about older people being alone during the festive season. To announce the arrival of its new king size beds, Travelodge produced a number of Vines, which cleverly used the beds and bedding themselves. The Vines were looped over 200,000 times within the first week of publication. In December The National Health Service formed an unlikely partnership with dating app Tinder to raise awareness for organ donation. Three celebrities – Olympic gold medallist Jade Jones, Made in Chelsea’s Jamie Laing and Gemma Oaten, from Emmerdale – now have profiles on Tinder that feature the logo of The Wait, the NHS’ organ donation campaign. As an April Fool stunt, global hotel brand Park Inn by Radisson created a new fake service offering ‘social media holidays’. 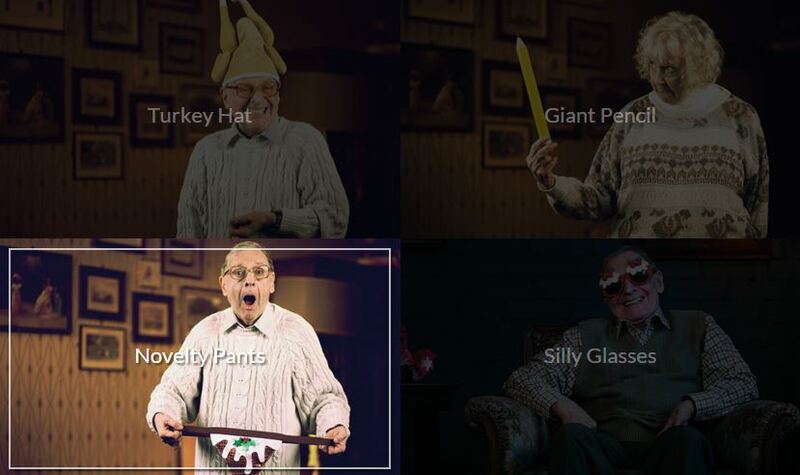 Creating a suite of content including video, a webpage, blogs and bespoke visuals the campaign achieved widespread PR coverage including the Daily Mail Travel’s official April Fool stunt. The campaign achieved 72,329 engagements on Facebook and Twitter in just 24 hours, with a combined reach of almost 40 million. E-scapes generated the most direct bookings of any previous social media activity, driving three times more revenue than the previous top campaign.